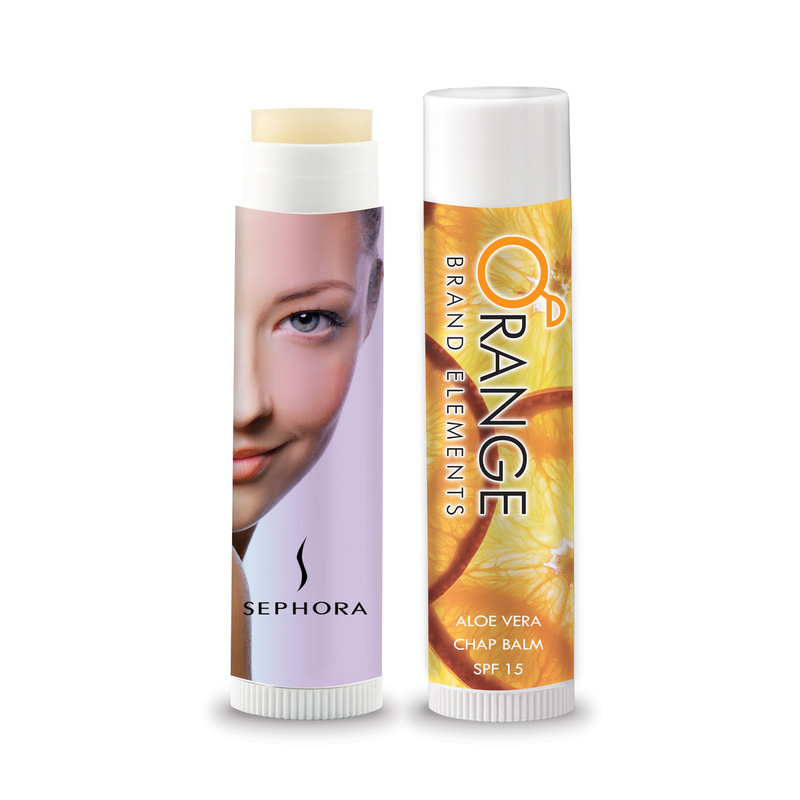 Made with Vitamin E and Aloe Vera, this lip balm also has an SPF 15 to protect you from the sun's intense rays. It's made in America, FDA compliant and PABA free! Refresh your lips and brand exposure with this moisturizing utensil. Lip balm is printed in full color process on clear, metallic or white decal for your customized retail look. Our chap balm is an excellent giveaway for tradeshows, hotels, spas, salons and any outdoor event. Comes in many tasty flavors: Apple, Bubble Gum, Cherry, Chocolate, Citrus, Coconut, Mint, Natural/unflavored, Peach, Passion Fruit, Pomegranate, Raspberry, Root Beer, Spearmint, Strawberry, Vanilla, Vanilla/Watermelon and Watermelon. (All Chap Balm is semi-translucent in color). Item Size: 2.125”h x 0.625”Dia.